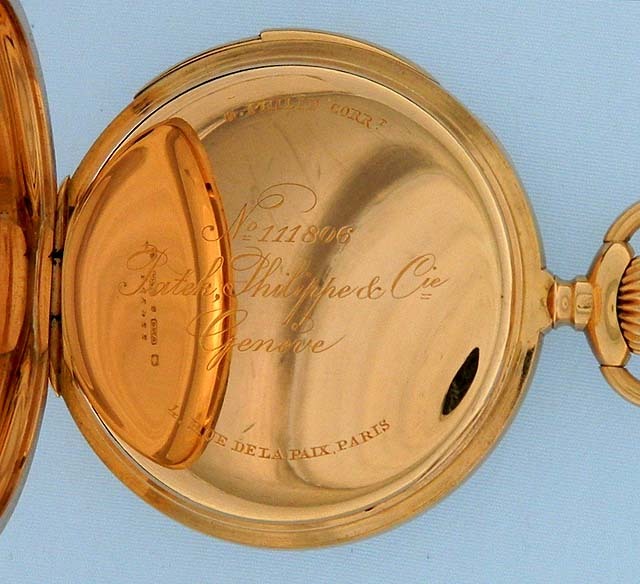 Fine and scarce and handsome Patek Philippe 18K gold quarter repeater antique pocket watch with original box, spare parts, and certificate, circa 1900. 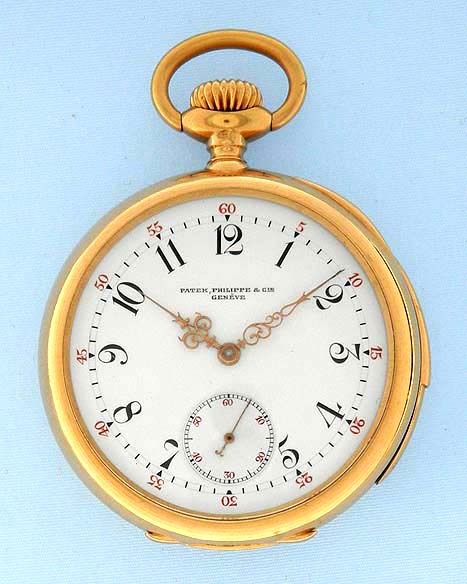 Fine white enamel dial with red and black numerals and fancy gold hands. 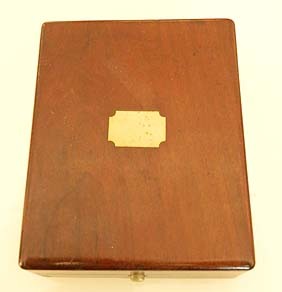 Heavy plain polish case with repeater slide in the band. 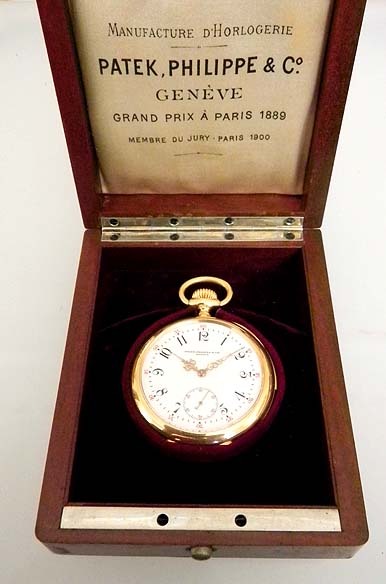 Approximately 23 jewel nickel movement with wolf tooth winding. Excellent example in particularly fine condition throughout. 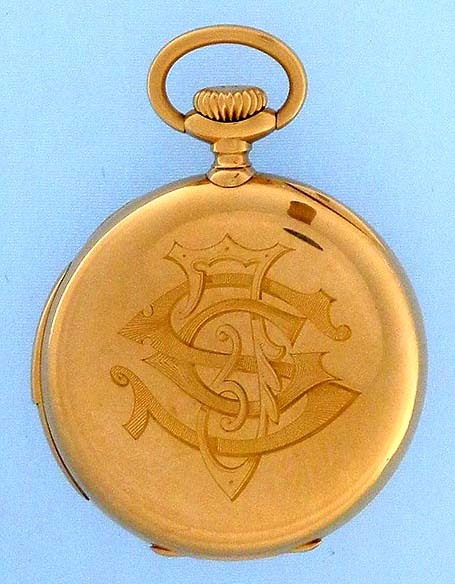 When activated this watch chimes the time to the last quarter hour with loud and clear tones. 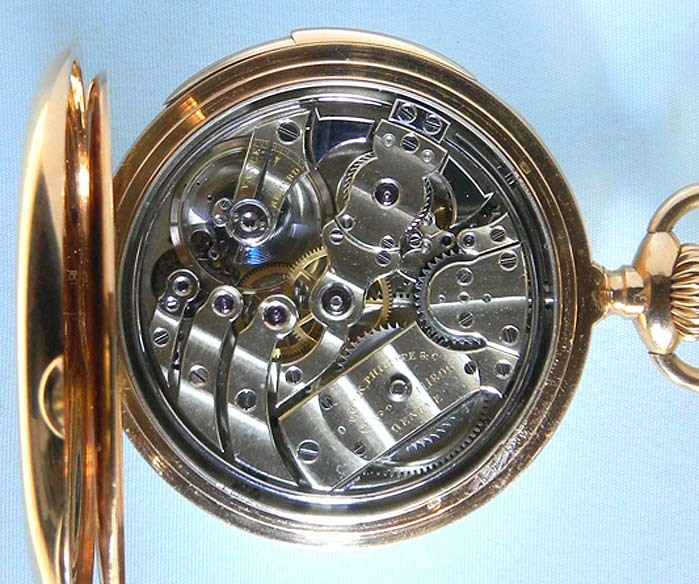 There is a dust ring running from the inside edge of the band down to the movement to keep it clean. 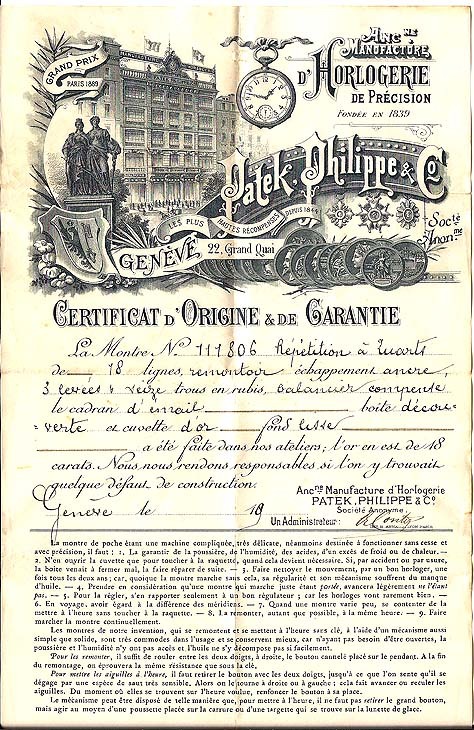 We haven't seen one of these before on Patek Philippe watches.